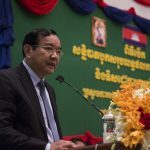 In an effort to keep Cambodians threatened with deportation in the U.S. with their families, the Foreign Affairs Ministry plans to offer the U.S. a revised version of the countries’ repatriation agreement, an official said on Tuesday. 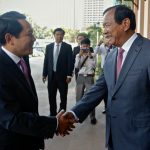 Laotian soldiers have begun digging trenches in Cambodia to ensure that construction of a disputed road cannot restart, while authorities from both countries have continued to lock horns over the dispute, an official said on Monday. 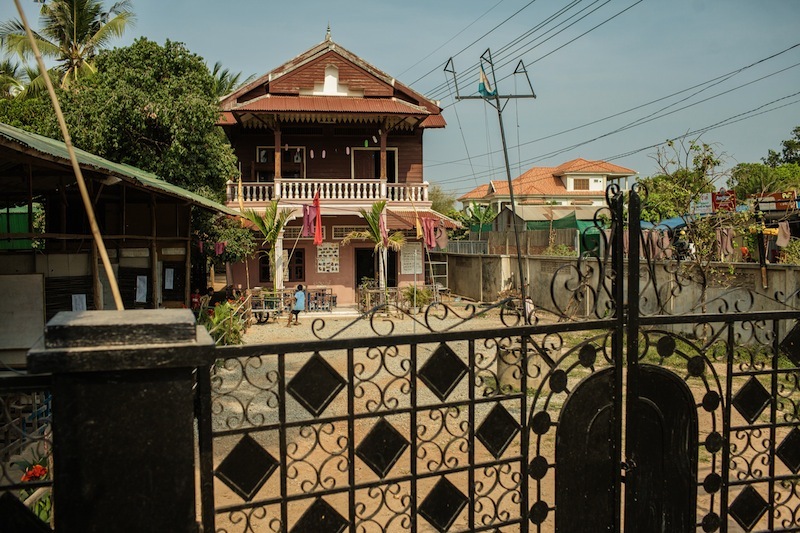 Presiding over a meeting about a massive memorial to Prime Minister Hun Sen’s “win-win policy,” which is about half finished on Phnom Penh’s Chroy Changvar peninsula, Defense Minister Tea Banh called on his commanders to build similar—if smaller—memorials in other provinces. Four senior officials for rights group Adhoc were denied bail for the fourth time by the Court of Appeal on Thursday, extending their detention in Phnom Penh’s Prey Sar prison while awaiting trial to nearly 10 months. 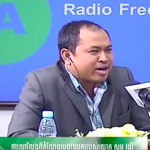 Jailed political commentator Kim Sok has retained an attorney with a history of representing opposition politicians—almost always in losing cases—and plans to request release on bail today, the lawyer said. 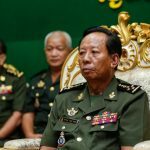 Authorities downplayed a dispute with Laos on Monday following a buildup of military forces on both sides of the border in reaction to hundreds of Laotian soldiers entering Cambodian territory to prevent military engineers from constructing a road. 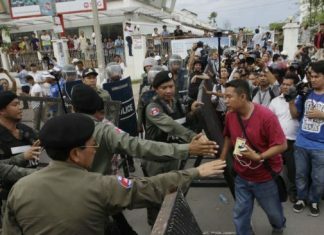 More than 400 Laotian soldiers have crossed into Cambodian territory to block military engineers from constructing a road, sparking an armed buildup in the border area over the past two weeks, Cambodian officials said on Sunday. A former court director convicted of giving his son an impounded SUV was set free on Thursday after serving one-and-a-half years in prison and will be barred from working as a prosecutor, judge or state employee again, officials said. 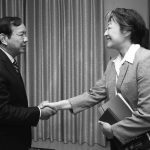 The Foreign Affairs Ministry picked up where it left off in its strained relations with the U.N.’s human rights office on Tuesday, again telling the office’s country representative not to interfere in Cambodia’s affairs. 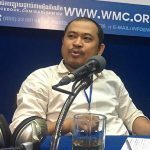 Prime Minister Hun Sen is set to file a complaint today against social and political commentator Kim Sok for allegedly claiming the ruling party ordered the July killing of analyst Kem Ley, Mr. Hun Sen’s attorney said on Sunday. 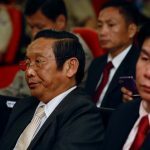 Violating the Constitution while following through on a threat from Prime Minister Hun Sen, the National Assembly’s CPP-staffed secretariat on Thursday issued an order saying that ministers would not appear before lawmakers unless the CNRP stopped boycotting parliamentary sessions. 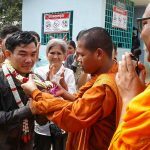 A top government official involved in a car crash that killed a husband and wife will not face charges after the Kandal Provincial Court decided to drop the case, even though the key eyewitness claims he did not even see the accident happen. 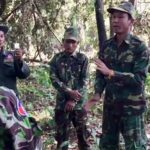 A CNRP official in Banteay Meanchey province dubiously accused of hitting a border officer with his SUV confirmed his resignation from the opposition party on Sunday, but denied media reports that he was planning to join the ruling CPP. 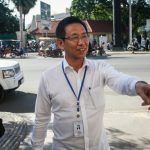 Prime Minister Hun Sen’s lawyer appeared at the Phnom Penh Municipal Court on Thursday to submit evidence in a defamation case against opposition leader Sam Rainsy, who claimed that a young political provocateur had been offered $1 million to agitate against the opposition. 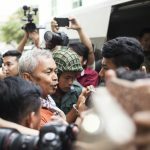 The Supreme Court on Wednesday rejected a bail request from prominent land rights activist Tep Vanny, as well as the appeals of five opposition CNRP officials, all of them among the 26 people rights group Licadho has identified as political prisoners. 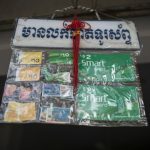 Three weeks after the Cambodian government launched a six-month crackdown on drug abuse and trafficking, the foreign minister of Laos on Tuesday pledged to assist by better policing a border that is a major entry point for drugs into Cambodia.